LONNIE LISTON SMITH AND THE COSMIC ECHOES-COSMIC FUNK. Innovative, influential and way ahead of the musical curve, describes Lonnie Liston Smith. That is the perfect description of Lonnie Liston Smith and The Cosmic Echoes 1973 debut album Astral Travelling. The music on Astral Travelling was groundbreaking. So much so, that it’s hard to believe Astral Travelling was released in 1973. Lonnie Liston Smith was a musical visionary. He was determined to push musical boundaries to their limits, and sometimes, beyond. However, Astral Travelling never enjoyed the commercial success and critical acclaim it enjoyed. 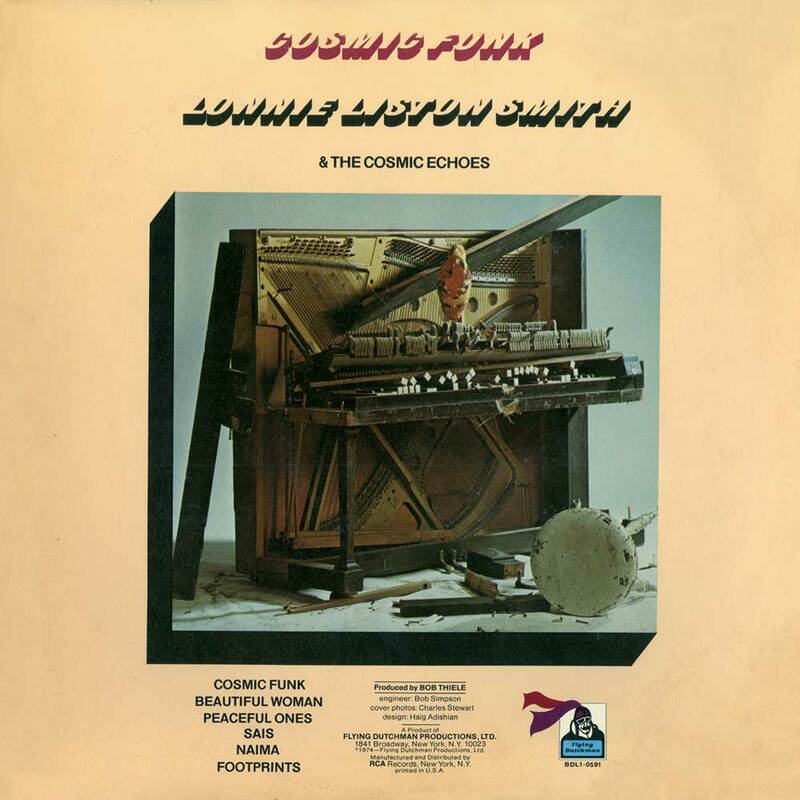 So, Lonnie dusted himself down and returned with Lonnie Liston Smith and The Cosmic Echoes 1974 sophomore album, Cosmic Funk, which was recently rereleased by BGP Records, an imprint of Ace Records. Cosmic Funk is another genre-melting album of groundbreaking music from a true jazz pioneer, Lonnie Liston Smith, who is seemed was destined to become a musician. During this period, Pharaoh and his band were constantly pushing boundaries and rewriting the musical rulebook. Their music was truly groundbreaking. Even Lonnie was challenged. On Thembi, Pharaoh asked Lonnie to play the Fender Rhodes. This was the first time that Lonnie came across an electric piano. However, he rose to challenge and wrote Thembi’s opening track Astral Travelling. Later, Astral Travelling would become synonymous with Lonnie Liston Smith and The Echoes. Before that, Lonnie would play with some of jazz’s maverickOne of these mavericks was Gato Barbieri. He’d just signed to Bob Thiele’s nascent label Flying Dutchman Productions. It was establishing a reputation for providing musicians with an environment where innovative and creative musicians could thrive. Bob believed musical mavericks didn’t thrive within such an orthodox environment. Their creativity is restricted, meaning they’re unable to experiment and innovate like they’d like. So, Bob signed Gato to Flying Dutchman. Lonnie played on his 1969 debut album The Third World. Bob’s next signing was Leon Thomas and played on his debut album Spirits Known and Unknown. Soon, Lonnie was a regular at Flying Dutchman sessions. On its release in 1973, Astral Travelling was critically acclaimed. It was as if Lonnie had drawn upon all his experience working as a sideman. He’d worked with Pharaoh Saunders, Gato Barbieri, The Jazz Messengers, Leon Thomas, Stanley Turrentine and Miles Davis. This meant he was no ordinary musician. No. 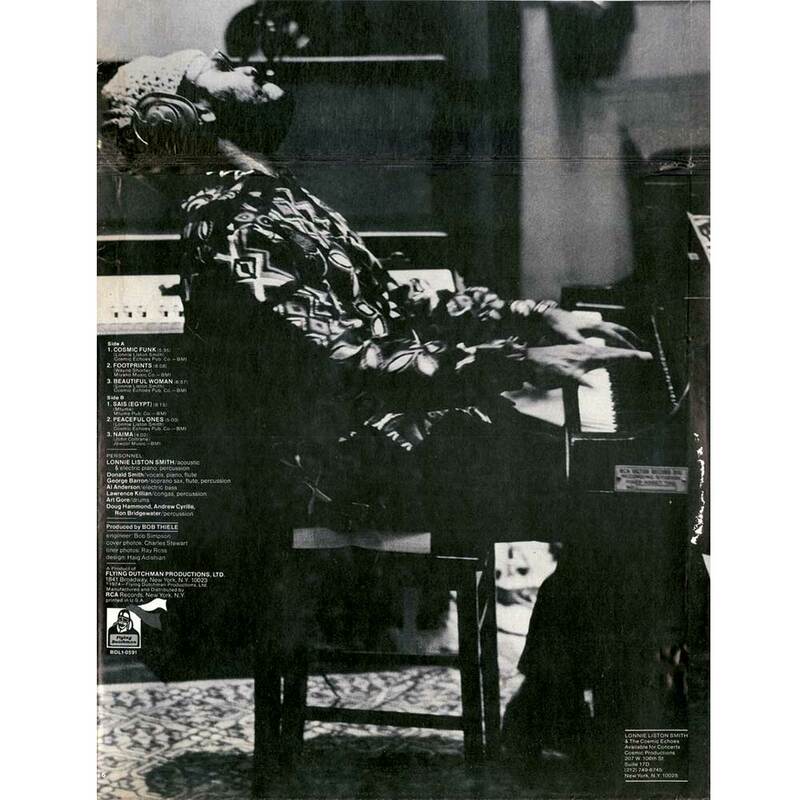 Lonnie Liston Smith was an innovator, who was determined to push musical boundaries to their limits and beyond. This was apparent on Astral Travelling. A year later, Lonnie returned with the followup up Astral Travelling, Cosmic Funk. Cosmic Funk was released in 1974. Critics heard a different side to Lonnie Liston Smith on Cosmic Funk. It was a much more orthodox album. One thing remained the same, the reaction of critics. Just like Astral Travelling, plaudits and critical acclaim followed the release of Cosmic Funk. Sadly, Cosmic Funk which I’ll tell you about, wasn’t a huge commercial success. Opening Cosmic Funk is the title-track. An uber funky bass line and percussion set the scene. Briefly, you think you’ve put on a Blaxploitation soundtrack. Soon, hissing hi-hats join as the arrangement takes on a dubby sound. Subtle rasping horns are added before Donald Smith’s vocal is a fusion of power and passion. It’s akin to a cathartic outpouring of emotion. By now, the all-star band are jamming, feeding off-each other. Donald unleashes another vocal powerhouse. He literally screams “citizens of the world, it’s time for world peace.” His impassioned plea is accompanied by a Lonnie’s unique fusion of funk, jazz and soul, which can only be described as Cosmic Funk. Footprints has an unmistakable sound. Penned by Wayne Shorter, Footprints featured on Miles Davis’ Miles Smiles’ album. Lonnie’s decision to cover the track could be seen as risky. After all, some people see Miles’ version as the definitive take on this track. Here, what’s noticeable is the unlike the previous track, it has a much more orthodox jazz sound. A wandering bass, flourishes of piano and soprano saxophone combine to create an understated, dreamy arrangement. It literally floats along, propelled by the rhythm section and piano. Percussion is sprinkled across the arrangement. Gradually, it grows in power and drama. Lonnie’s piano is key to the arrangement, feeding off the saxophone. After the saxophone drops out, Lonnie steals the show, delivering a masterclass he reinvents a classic track. Beautiful Woman is the second of a trio of tracks penned by Lonnie. Flourishes of flamboyant piano, percussion and a shuffling rhythm section provide a Latin backdrop for Donald’s tender, heartfelt and seductive vocal. When his vocal drops out, Lonnie’s piano takes centre-stage. He’s accompanied by a subtle saxophone, a myriad of percussion and a pulsating rhythm section. However, it’s Lonnie’s piano that has you captivated. He plays with freedom and flamboyance during a lengthy solo. It’s one of the finest on Cosmic Funk. Meanwhile, Donald scats before picking up the baton from Lonnie and delivering the lyrics to the beautiful paean with passion and sincerity. The result is one of Cosmic Funk’s highlights. Sais (Egypt) is eight minutes of spiritual jazz. It’s as if Lonnie’s been inspired by Pharaoh Saunders, who he used to play with. This track was penned by James Mtume, who played in Miles Davis’ band. However, it was Sonny Rollins who first recorded Sais (Egypt) on Horn Culture. Here, the arrangement is slow, with a mysterious, mystical sound. Just a lone bass plays before percussion, piano and drums enter. Lonnie’s piano playing is central to the track’s success. His playing is flamboyant, with flourishes of piano cascading across the arrangement. Playing an equally important role is the soprano saxophone. It too, cascades across the arrangement, while percussion and a reverberating piano add to the mystical, futuristic and experimental sound. Peaceful Ones has a laid-back, mellow sound. The arrangement just meanders along. It has an understated, dreamy and floaty sound with envelops James’ vocal. It’s heartfelt. James sings as if he means every word. Especially the lyric “we’ll live in harmony.” When his vocal drops out the rhythm section, percussion and piano drive the arrangement along. Al Anderson’s bubbling electric bass plays a starring role. It’s panned right and Art Gore’s drums panned left. This add a sense of symmetry to the arrangement and allows James’ tender, beautiful and heartfelt vocal to take centre-stage, where it belongs. Naima, which was written by John Coltrane, closes Cosmic Funk. Lonnie’s spacious piano reverberates and the arrangement unfolds. James picks up where he left off on Peaceful Ones. Heartfelt and tender describes his vocal. The understated arrangement floats and cascades around him. Bells chime, a flute bubbles and the bass probes. Percussion and Lonnie’s piano plays an important role. Especially when James’ vocal drops out. They briefly enjoy a starring role. Then when James’ vocal returns, they return to playing a supporting role on this wistful, ethereal and beautiful track. 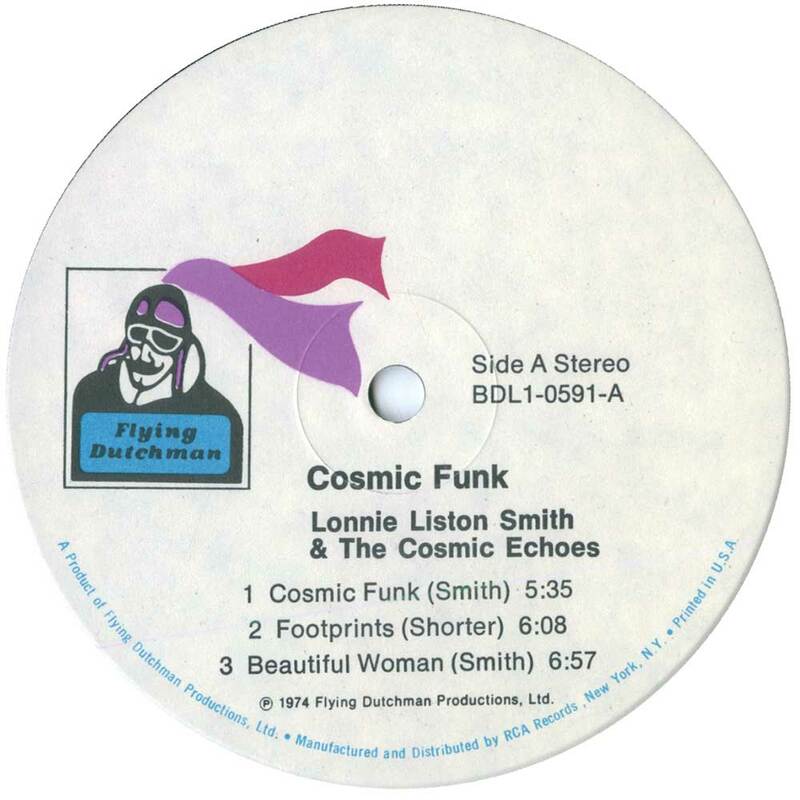 Cosmic Funk proved to be a transitionary album for Lonnie Liston Smith. Released in 1974 critics heard a different side to Lonnie Liston Smith on Cosmic Funk. It was a much more orthodox jazz album. Jazz, funk, Latin and soul were combined on Cosmic Funk. However, one thing remained the same, the reaction of critics. Just like Astral Travelling, plaudits and critical acclaim accompanied Cosmic Funk which looking back, was a stepping stone for Lonnie Liston Smith. The benefit of hindsight is a wonderful thing. However, anyone familiar with Lonnie Liston Smith’s back-catalogue will tell you that Cosmic Funk was a stepping stone for Lonnie. He found himself one step nearer what would be regarded as his trademark sound. He found his trademark sound on his third album, Expansions, which was released in 1975. For Lonnie, the first two albums of his career were part of a musical voyage of discovery. During that journey, Lonnie embraced a whole host of ideas musically. That’s apparent on Cosmic Funk. Jazz, funk, Latin, soul and even electronica make an appearance on Cosmic Soul. That would be the case throughout Lonnie’s career. Some of the ideas worked. Others didn’t. These he cast aside, albeit sometimes temporarily. Sometimes, Lonnie would revisit them later in his career. Lonnie was always open minded musically. It was a case of neither ruling anything in, nor out. That’s why Lonnie Liston Smith will forever be regarded as an musical innovator and visionary. Lonnie Liston Smith would go on innovate and influence several generations of musicians. Even today, forty years after the release of Cosmic Funk, Lonnie Liston Smith is still influencing generations. It seems belatedly, Lonnie Liston Smith’s music is finding a wider audience. Maybe, only now do people understand what Lonnie Liston Smith was trying to do? After all, his music was way ahead of the musical curve. 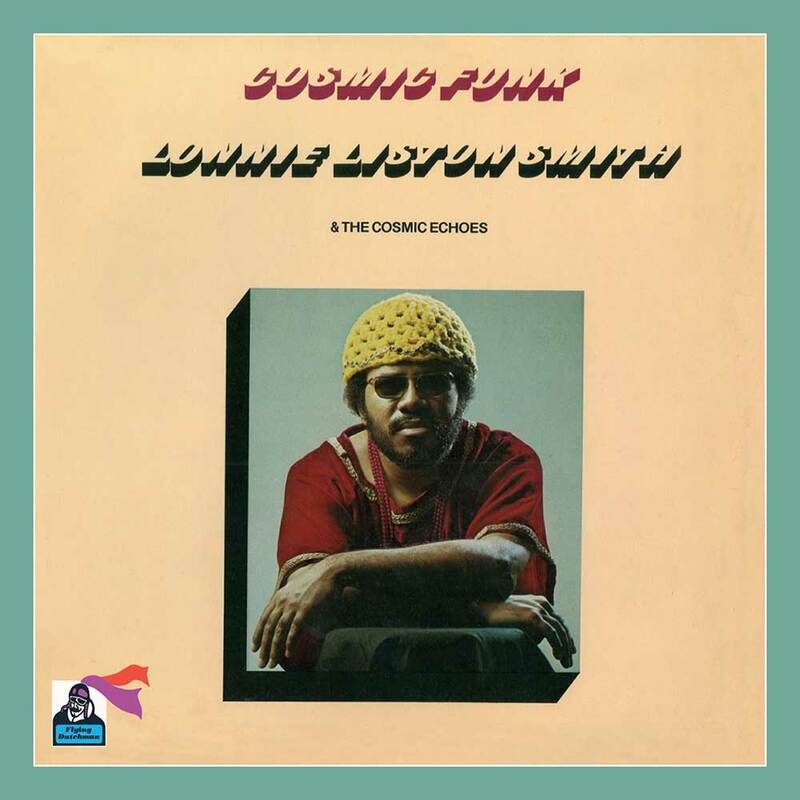 However, Cosmic Funk which was recently rereleased by BGP Records is one of Lonnie Liston Smith’s most accessible albums. Although Cosmic Funk was quite different to the music on Lonnie Liston Smith’s debut album Astral Travelling, it has one thing in common, quality. Cosmic Funk oozes quality. No wonder. Lonnie was accompanied by a band that features several former members of Miles Davis’ band. Each of them, played their part in Cosmic Funk’s sound and success. Cosmic Funk was very different to Lonnie’s debut album Astral Travelling. Despite its much more orthodox jazz sound, Cosmic Funk found Lonnie one step nearer finding his trademark sound. With its much more traditional sound, Cosmic Funk is one of the most accessible albums Lonnie Liston Smith and The Cosmic Echoes released. That’s why Cosmic Funk is the perfect introduction to Lonnie Liston Smith and The Cosmic Echoes’ unique brand of cosmic jazz.